In a previous article we listed six fantastic fantasy video game horses that, completely by accident, were either undead or on fire. 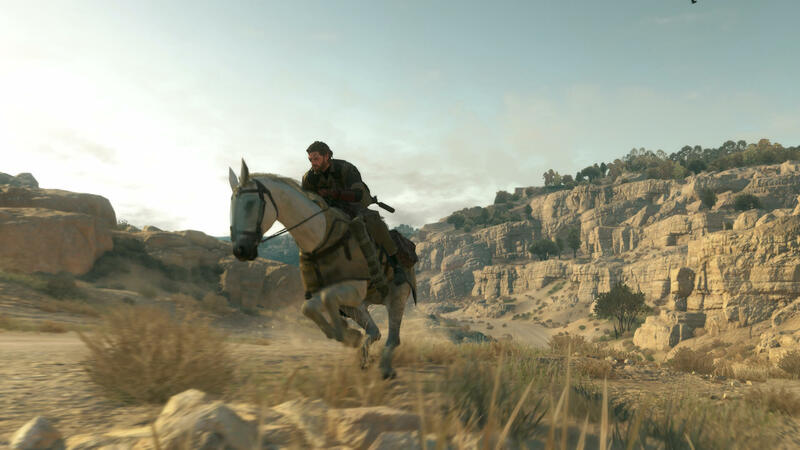 Not wishing to appear supportive of animal cruelty, no matter how cool flaming zombie horses look, Here are some other Video Game horses, that are absolutely not dead or on fire. In Journey of the Cursed King, our party of adventurers travel across the globe in search of a way to break the curse beset upon the Kingdom of Trodain with a horse and cart to carry all their equipment. Yet this horse is more than she appears. She is in fact a cursed princess, spelled into an equestrian form by a trapped and enraged, malevolent God, Rhapthorne. When a mystical staff is liberated from it’s prison by a dark sorcerer, the whole city is cursed along with the King and his daughter. Now she is responsible for towing the wagon. It’s a bit cheeky if you think about it. The Princess who has been cursed has to do all the heavy lifting. She seems happy to pull her weight in any case. They try many things to break her curse, even having her drink from a mystical spring but it’s just a temporary measure. Even with a lifetime of hay and horseshoes ahead of her, she retains her positive outlook and gives her all to help her companions save the world. I notice they never tried true loves kiss. Go on silent protagonist, pucker up and restore your true love to her rightful form. No. Well I guess someone has to pull the cart. A perpetual running platfprmer. Race along as you gain speed, jumping through rings, leaping over bottomless pits and collecting fairies in a colourful planetary plane. Customise the horns, wings, body and trail of your robo unicorn in the style of a twinkling twilight trotter, a beautiful butterfly or even a death horse on fire. It’s a very welcome fusion of punk, heavy metal and futuristic fantasy. Even the music is retro synthesised and whimsical. There are a few levels and customisation options. Your robo-corn can be as festive or festering as you like. 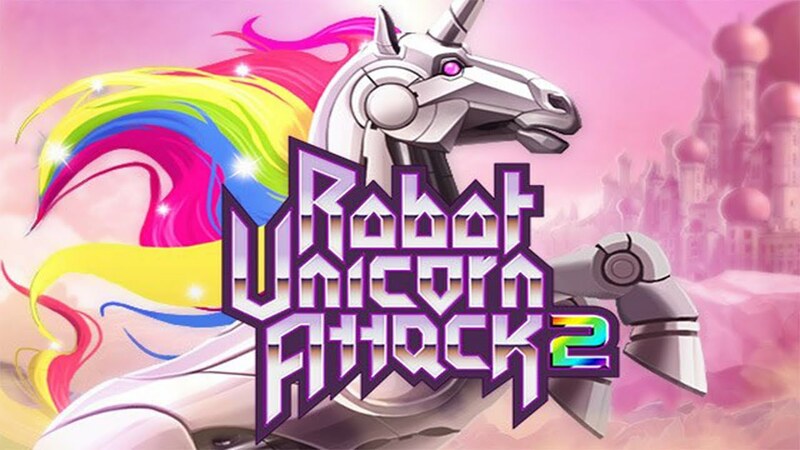 There is the more recent Robot Unicorn Attack Forever with 3D graphics, but we prefer the animation of the second. It’s more detailed and the saturation is more appealing, but maybe thats just me being picky. Though the cry it emits when it crashes is heart wrenching. If you enjoy the simulation of a horse running free these games are available on both Android, iOS or at crazygames.com or on adultswim.com. Just follow the links below. 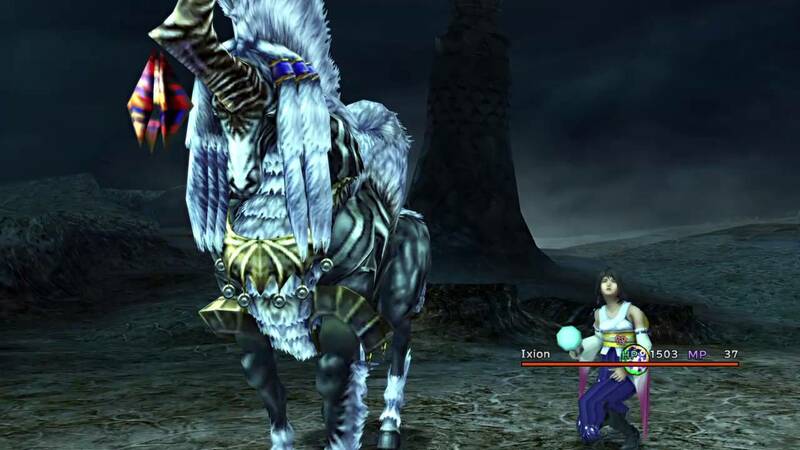 To say that Ixion from Final Fantasy X is shocking to behold is a bit of an understatement. His electric attacks are truly zap-tastic. If you think this horned stallion has too much charge, you should see his temple in Djose. Yuna summons him by tethering her staff to his horn, enabling her to yank him from the fayth to the field. He’s got one big horn and he’s not afraid to use it, as he leaps forth and slashes foes for melee damage. The horn can also frisbee a magic disc of positively charged air called an aerospark. Ixion’s most powerful attack is an Overdrive called Thor’s Hammer, using his hooves to ground himself, he channels a streaming torrent of power into his opponent, lifting them into the air before pelting them with an explosive cluster of ionic energy through the electric tether that binds them. While on the field, all aeons take the damage instead of the party and he can cleverly heal by calling down the thunder to strike himself, or use to inflict magic damage. How’s that for a jolt? In terms of sticking with you through thick and thin, there is no steed more steadfast. 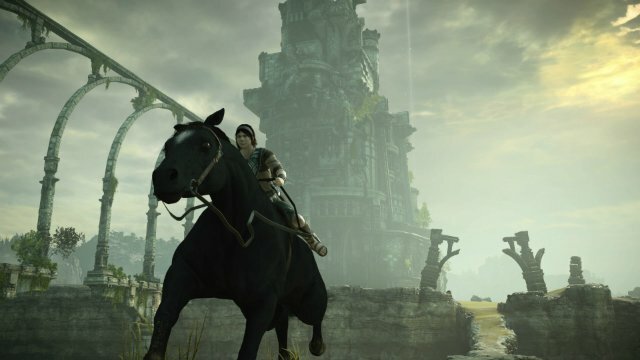 Agro is such a fundamental mechanic in Shadow of the Colossus he is considered a main character. And if he’s not he should be. Whereas most beasts would bolt it from the colossal colossi, Agro bravely carries protagonist Wander into the face of overwhelming peril. These two make such a good team that Wander can allow Agro free rein, so to speak, riding without direction while he aims his bow to take advantage of a weak point secreted somewhere on his ginormous prey. In the new PS4 version he can even perform stunts and tricks. Agro doesn’t possess a stamina or health bar, as his main function is transportation and companionship. He does a lot of cantering so it’s normal if he slows down bit. Just keep kicking him to keep his speed up. D-horse is one of the Buddy’s that can assist Snake on his missions of stealth and espionage. He is available to use from the very beginning of the game and is a huge help traversing the new open world style game play. The desert maps are ma-hu-sive. He can travel at the same speeds as a four wheel drive, not too shabby. D-Horse can go from standing still into an immediate full gallop, which is very useful for a quick getaway. He doesn’t get stomped by rough terrain either and can venture without the same difficulties of vehicles. Like using weaponry? For whatever reason Snake just isn’t comfortable firing a pistol while driving, he’s a very conscientious drive that way. While atop D-Horse however, he is more than happy to pump lead into anyone in sight, using his pistol, sniper rifle or even a friendly rocket launcher regardless of how D-Horse might feel. Have we mentioned he can poop on command, now that is a skill to be proud of. He’s a soldier to the cause and thus even has his own set of bullet proof battle armor. Since Epona first debuted in Ocarina of Time, she has Carried Link through the generations. Though he has to learn how to ride her every single time. She’s a great perch point for shooting arrows and has the ability to leap over small fences. A brown coated Silver Bay, One her best features is that she is virtually indestructible. It’s only in Breath of the Wild where she can really take damage, though to even acquire her in Breath of the Wild you will need to go and purchase the Link Smash Bros amiibo and use it in Hyrule field. Though there are much cooler looking steeds, such as the Lord of the Mountain, Epona is superior in that she can be registered at a stable. You cant change her name, but why would you? She comes with full stats of strength, speed, stamina and is immediately fast chums with Link with a maxed bond. It’s a friendship that transcends the test of time and multiple contradictory continuities. Even if you’re not a horse fan, you gotta admit these steeds are the bees knees. I know thats only a half-rhyme, but alliteration is hard. If you enjoyed this video or just like horses and video games, please remember to leaves a thumbs up and subscribe on our YouTube channel. When it comes to Video Games, what are your favourite rides? Do you prefer games with mounts or vehicles? Share your opinions in the comments section. As the saying goes. Everyones a critic.